hd00:54Lots of colorful hungry koi fishes. hd00:16Natural background, aquarium close up. 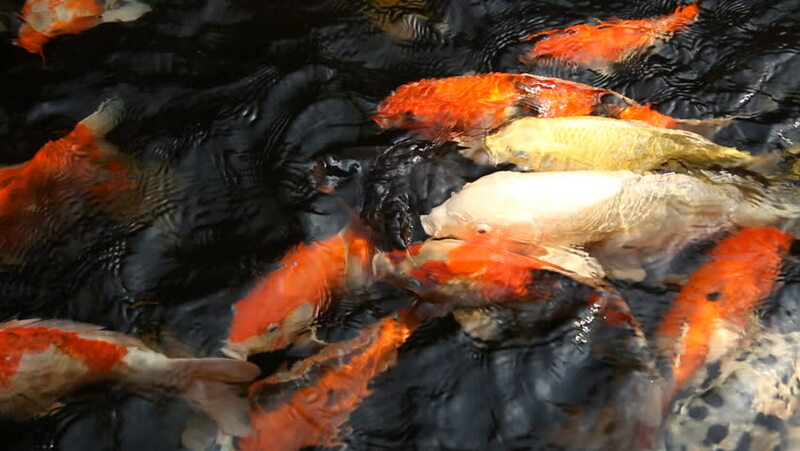 Vibrant Colorful Japanese Koi Carp fish swimming in traditional garden pond. Chinese Fancy Carps under water surface. Oriental symbols of fortune and good luck.